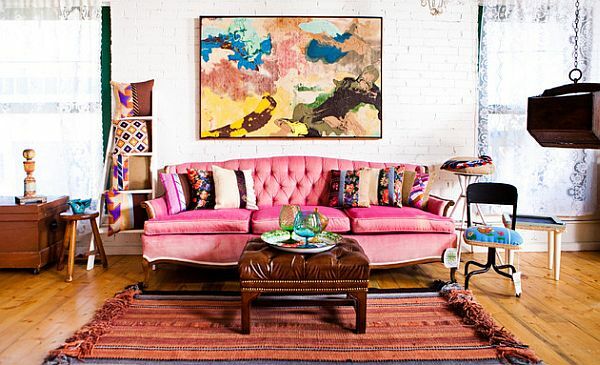 Be honest – when you hear the phrase pink room décor, do you impulsively scoff? 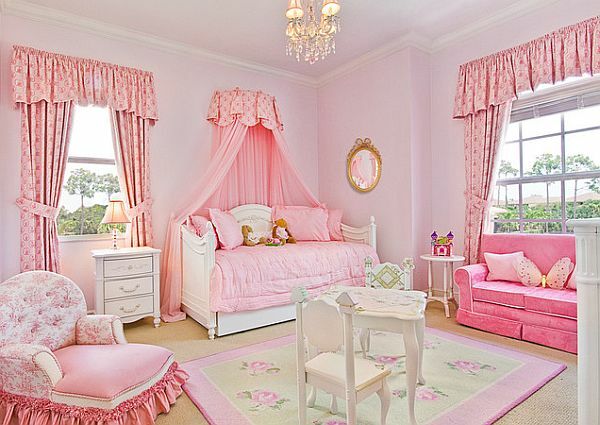 For many people, unless you’re discussing a child’s room, the color pink sounds dreadful. It may invoke images of obnoxious ribbons, frills and other types of trimmings that would only be suitable in either the nursery of a newborn baby girl or an old woman with thirty adopted cats. 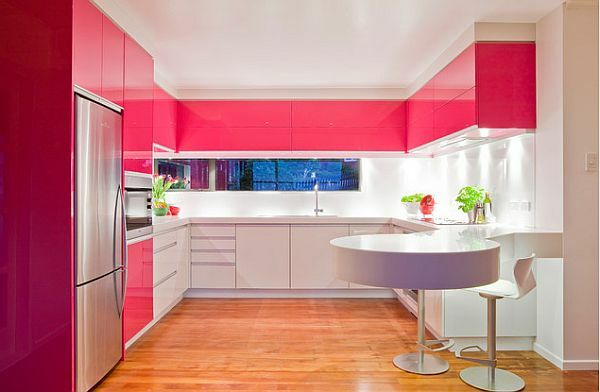 However, contrary to popular belief, pink is actually a very versatile and funky color that packs quite a punch. When decorating with pink, remember to go easy. Like orange or any other brighter, warmer hue, pink is a bit of a drama queen – it demands to be the center of attention. Even tamer pink shades have a tendency to be all-consuming if displayed in a high quantity. Instead, carefully limit your pink to small blocks or splashes within a pattern. 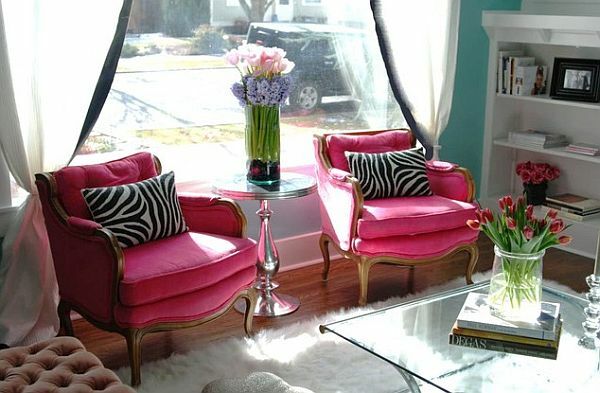 Another important pink décor rule is to cut it with cooler colors. 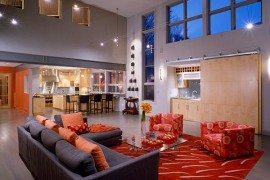 For example, orange, yellow and pink together as the principle colors of a room are really only suitable for a grade school child. For a more mature look, combine a dark red-pink or magenta with a shade of blue. Navy blue and pink can actually be quite refreshing. If you’re going to use solid pink for an entire piece of furniture, tone down the rest of the room with neutrals. In other words, if you’ve selecting a salmon pink sofa, stick to white walls. 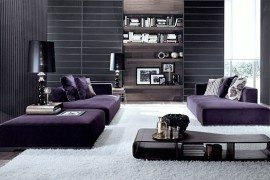 Likewise, if you’re placing in a neon pink coffee table, keep the rest of the palette full of black, gray and white. 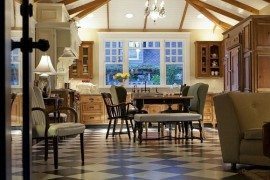 Again, remember that your pink accent will quickly become the focal point of the room. Finally, don’t be afraid of pink. 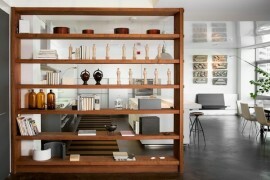 This color comes in a variety of shades and does not necessarily have to be associated with feminine-only living spaces. 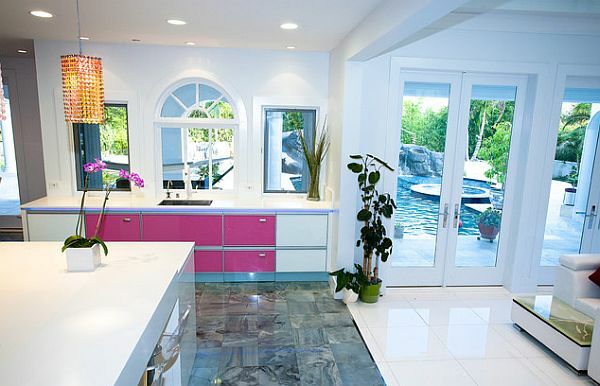 In fact, some of the best designed homes in the world feature a shock of pink somewhere in their design.